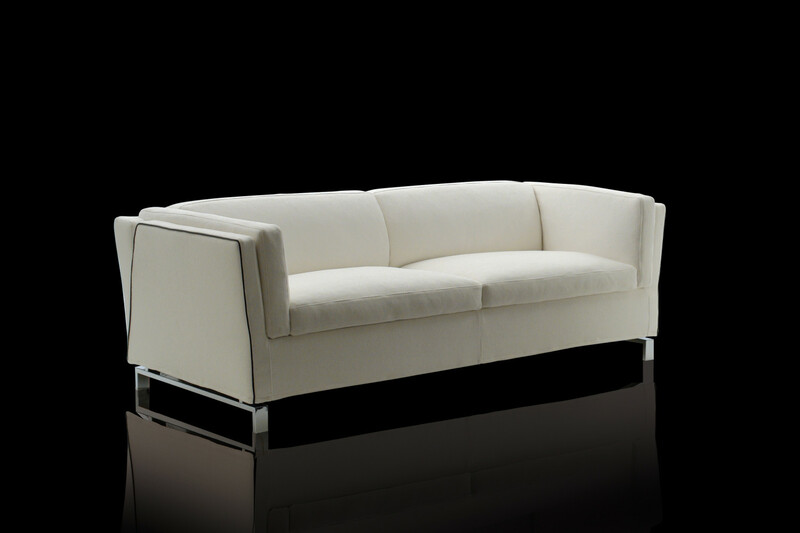 Benny is a modern sofa bed with chromed bridge feet and high armrests, available in 2 and 3-seater models. XL single, French double or double bed. 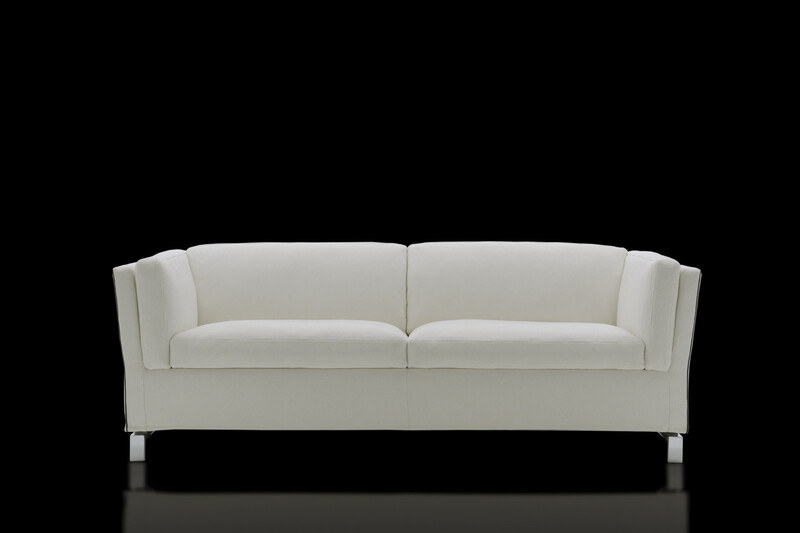 Benny is an easy to open sofa bed with bridge feet characterized by elegant lines. 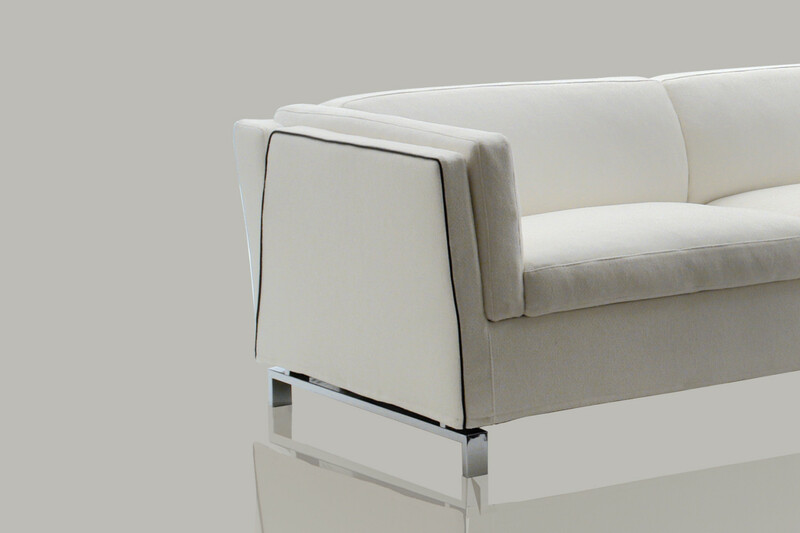 It is equipped with feather cushions with resilient polyurethane foam inserts, and completed with high slim armrests for a refined yet practical look. 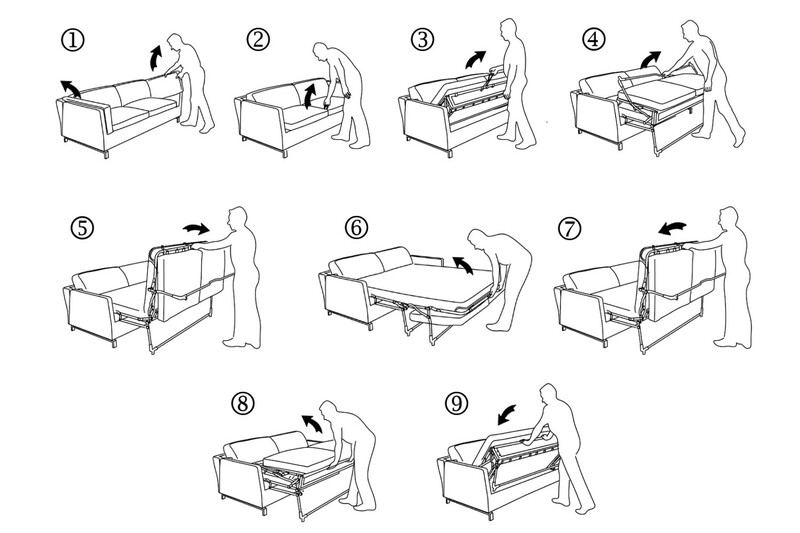 The sofa can be easily opened and the mattress and bed base unfolded in a few simple steps: you only have to remove the armrest cushions and activate a manual mechanism by using the handle hidden in the seat cushions. 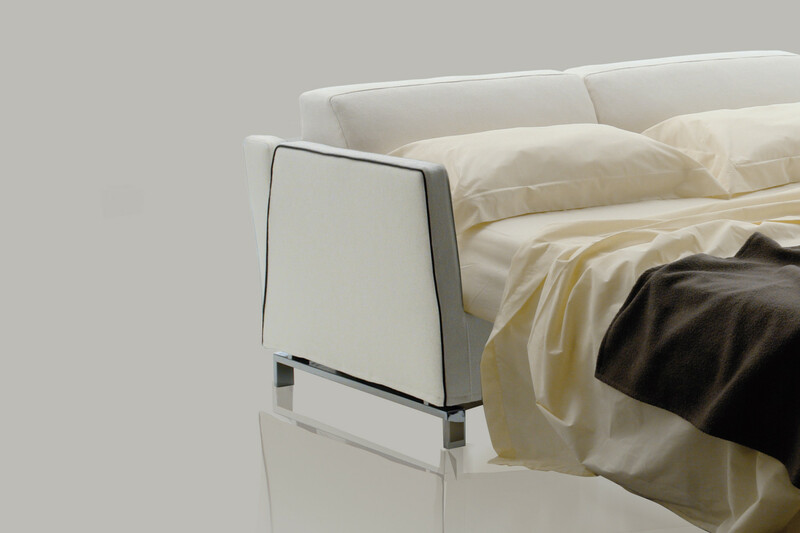 After the first pulling out movement, the seat cushions rotate under the bed base, and the mattress unfolds automatically. 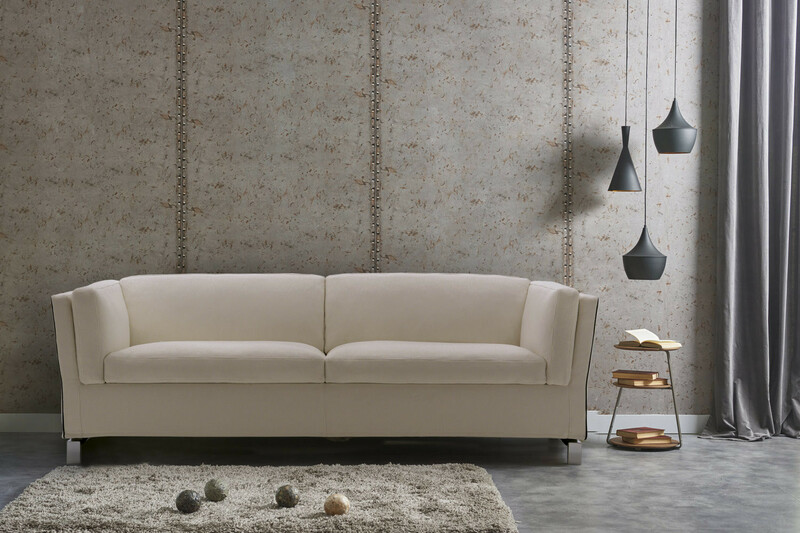 The Lampolet mechanism and bases, along with the Springs mattress, provide a sleeping comfort comparable to the one of a real bed, guaranteeing a long life-span for the sofa and all its parts. 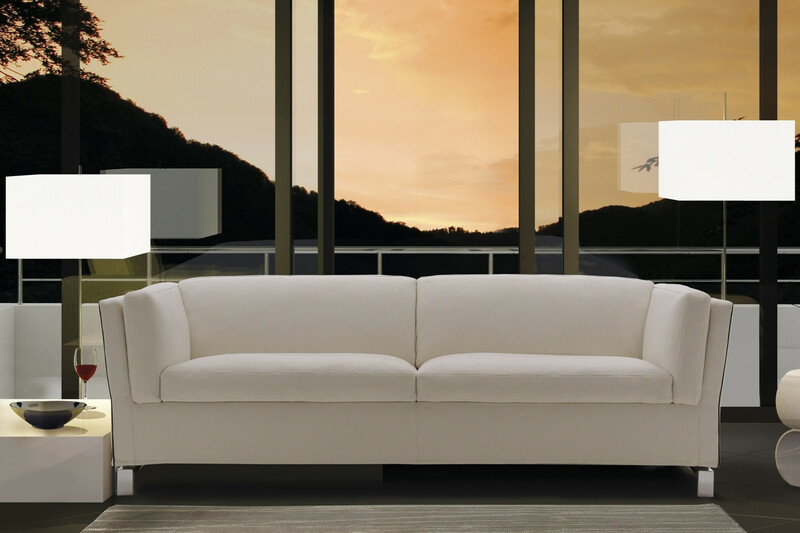 Thanks to its combination of elegance and practicality, Benny is the ideal sofa bed for contract environments and elegant vacation houses or for private homes with a refined look. 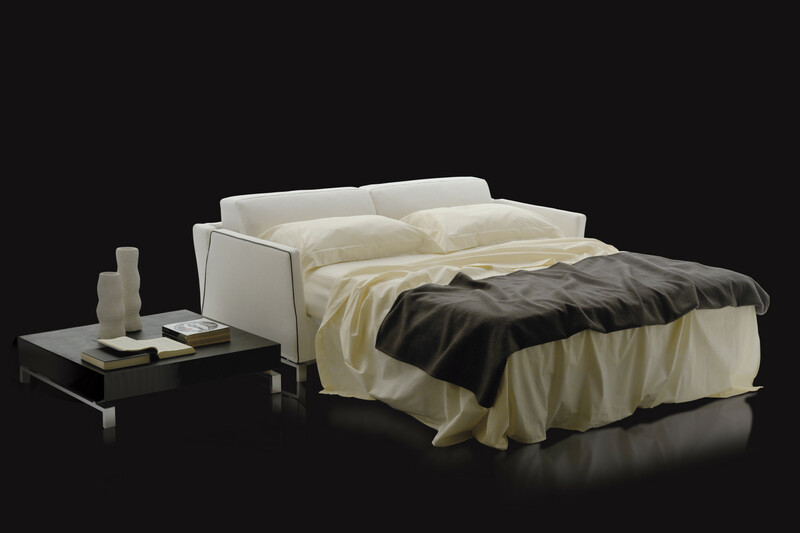 The covers available include fabric, eco-leather and leather in all the colours displayed in Milano Bedding samples page. 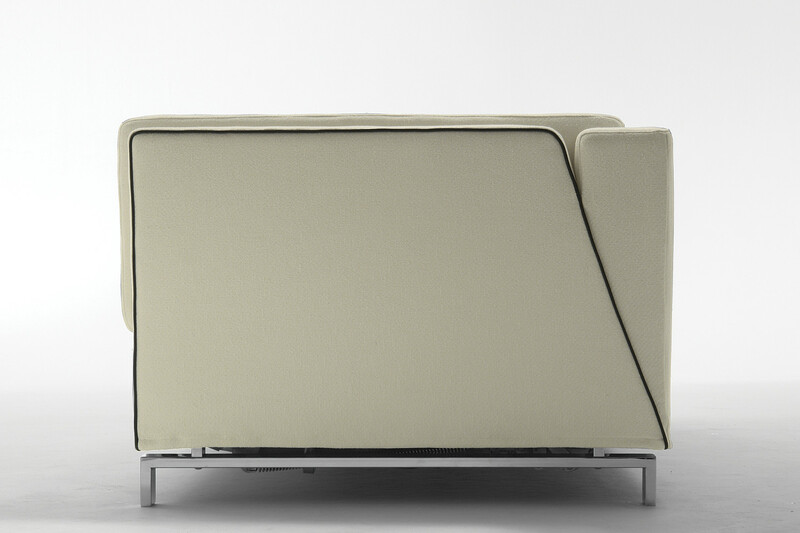 The high armrests are characterised by a piping that can be chosen in one of the colours available for the same cover category selected for the whole sofa. Benny cover is completely removable. 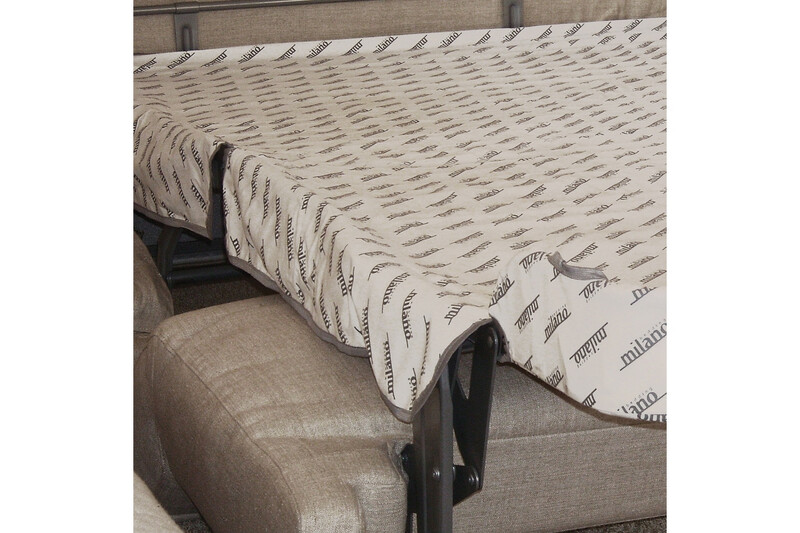 It is possible to purchase a special bed base cover in 100% cotton cloth branded Milano Bedding. Ideal to avoid a direct contact between mattress and base, especially when the bed is closed. 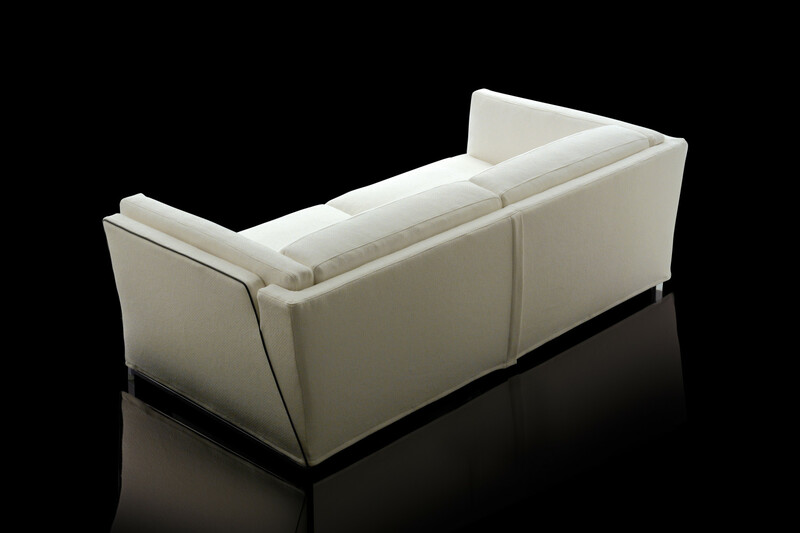 Structure: expanded polyurethane with different densities: 30 and 40 Kg/m³; 100 g/m² resin fibre combined with interliner.